Jetline serves a very diverse customer base, including many multinational manufacturing companies, offering them a wide range of welding automation products. 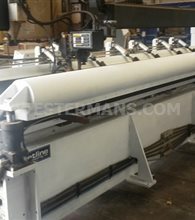 They include fixtures and Jetline Seam welders. Jetline Engineering is a leading manufacturer of automated welding systems and components. Applying proven experience and innovative solutions to automated welding and help manufacturing companies around the world to improve product quality and increase productivity. 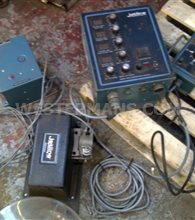 Westermans are able to offer the Jetline brand either in a used or refurbished condition making this welding equipment affordable to the majority of companies around the world. Jetline Engineering’s history dates back to 1956 when the supplier of mechanised welding systems called Airline Welding and Engineering was founded. From the early days the company pioneered the development of automated welding methods and machines for the West’s booming aerospace industry. The experience gained in the welding of components for the aerospace and nuclear industries enabled Airline (later renamed Jetline Engineering) to apply the know-how to the design and manufacturing of automated welding systems. In 2000, Illinois Tool Works (ITW), a Fortune 500 Company, acquired Jetline Engineering and integrated it into its Welding Products Group. This group consists of such well known brands as Miller Electric, Hobart Brothers, Weldcraft, Bernard, Smith, and Tempil. Today Jetline serves a very diverse customer base, including many multinational manufacturing companies, offering them a wide range of welding automation products. Thousands of Jetline welding systems are used all over the world to build critical components for the aerospace, power generation, transportation, shipbuilding, and general manufacturing industries. Helping companies to build not only critical components, such as turbines and jet engines, but also commercial products such as truck fuel tanks and kitchen sinks. Jetline Engineering specialises in the manufacture and supply of equipment for automated arc welding - GTAW, PAW, GMAW, and SAW. The 9900 Controller is a touch screen industrial computer with an intuitive graphical user interface. It can control up to 15 individual parameters. The 9600 series controls are the standard Jetline control and sequencer used on our motor-driven equipment. 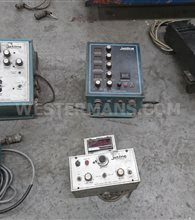 The 9600 controls can be used for either longitudinal or circumferential welding systems. Compact internal longitudinal pipe welding system with dual arc welding head. The system has a 23 ft (7 m) stroke and can fit into an 8” (203mm) pipe. Ideal for heavy wall, longitudinal pipe welding. This system can be configured for similar applications using a dual or single arc welding head. LWA seam welders are designed for high volume production welding of cylinders. Because the clamping and welding sequence is fully automated, this system provides the fastest cycle times. The compact design of the LWB makes it an ideal choice for welding thin gage sheets, small cylinders, and bellows. Coil splicers are used to join coiled sheet together, using proven seam welder technology that provides high quality welds. 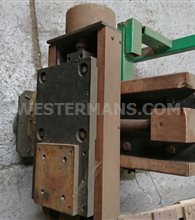 This style seam welders are designed to provide the flexibility of internal or external cylinder welding. The smaller diameter parts can be loaded on the mandrel below the tabletop, while the large diameters are loaded over the tabletop. Seam welders with hydraulically elevating tabletop height can be quickly changed to accept a wide variety of part diameters. 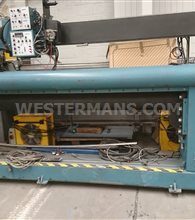 A versatile seam welder for welding externally on cylinders ranging from 24” (600 mm) to 240” (6100 mm) in length. Standard part diameter range is from 2 5/8” (66 mm) to 32” (800 mm); larger diameters are possible with an optional riser. Seam welders are designed for welding flat sheets or tanks with diameters larger than 55” (1400 mm). They are ideal for trailer tank and field erected tank fabricators.